The exhibition area of Anji Dragon Source consists of reception center and sales center. 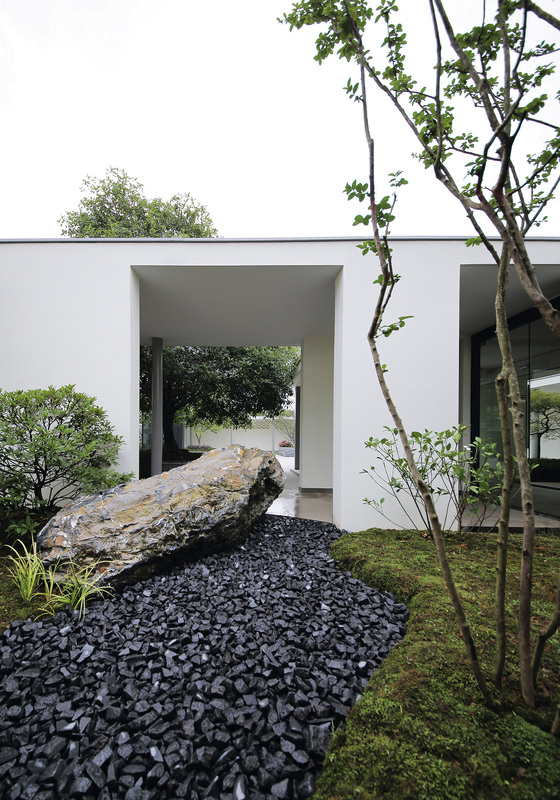 The client wishes to retain a cluster of old private houses on the site of the reception center, and use them for temporary office and exhibition after slight renovation. 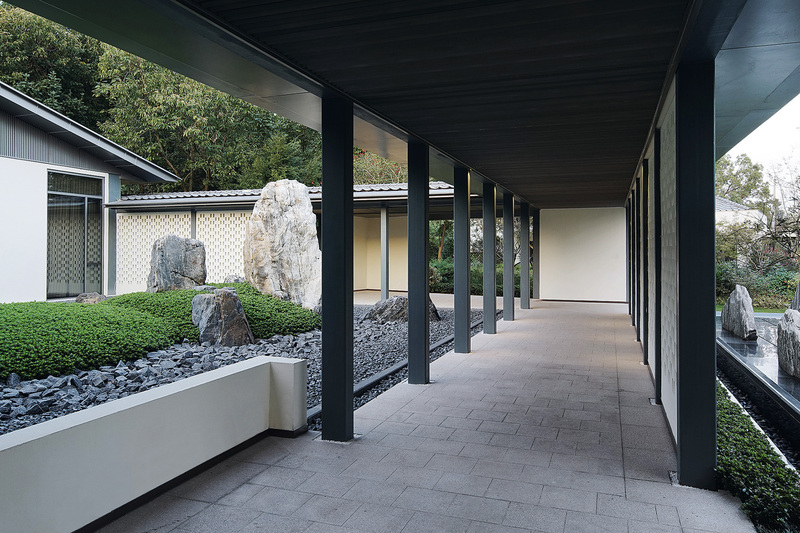 The architect retained the massing relations of most old buildings, and newly added galleries and enclosure walls to form a semi-enclosed courtyard space, thus resolving the issue of weak transition between old buildings and external environment, increasing the spatial layers between main buildings and external environment and improving users’ psychological security. The exhibition hall is transformed from a warehouse on site. With open land in the southeast and elevation above the road, it commands a panoramic view of remote mountains and adjacent pond; the site elevation is about two meters above the east road, and exactly creates an independent sense of place for the exhibition hall close to the road. 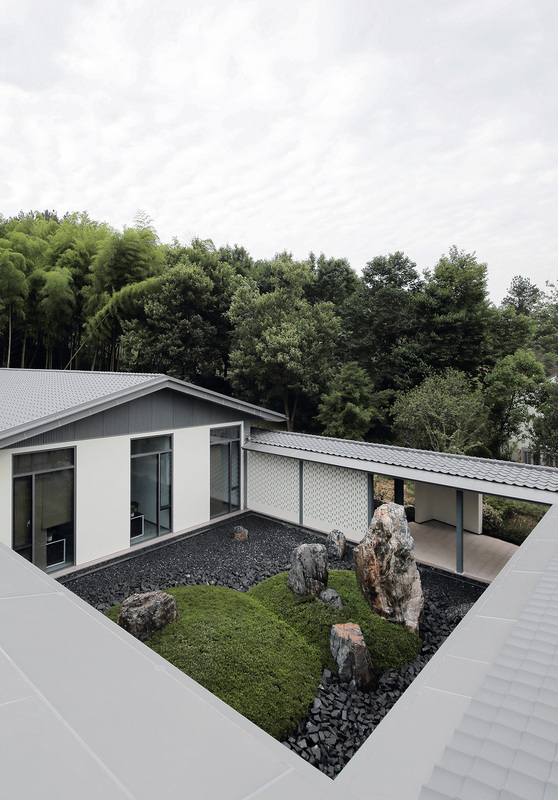 The sales center is backed by a bamboo forest and closely adjoins a small lake. The compact and exquisite architecture complements with clear lake water. This space is mainly used for sales, reception and exhibition, and one corner of the T-shaped plane is fully open to the water and introduces lake view into the indoor environment. The architecture features far-reaching platforms and galleries facing the lakeside, which offers both a viewing frame and a waterfront outdoor reception place. 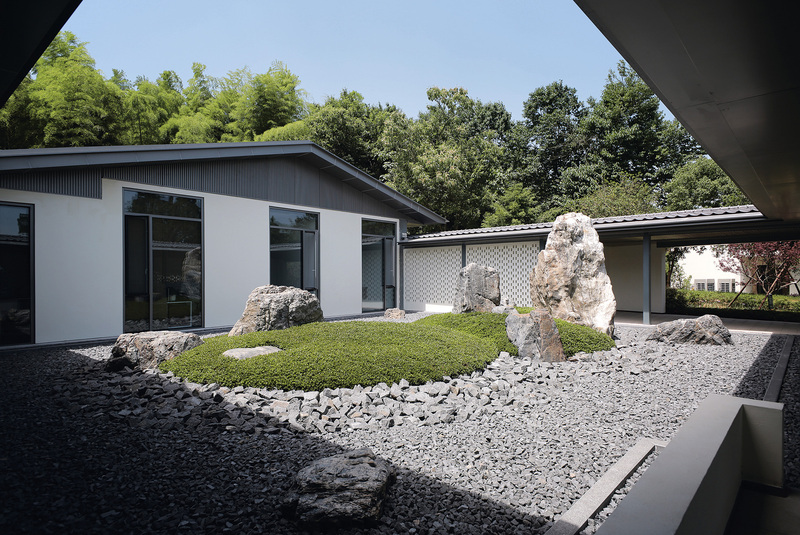 Another corner of the T-shaped plane uses galleries to enclose a semi-public Japanese rock garden directly accessible from outside. The architect uses this approach to deal with the heavy pedestrian flows of the sales center within a specific period of time, and to avoid the expansion of architectural massing due to temporary volume change. The broad galleries not only connect bathroom and other service spaces, but also provide a landscape in the backward direction of the reception hall. 安吉绿郡安城实业发展有限公司 Anji Lvjun Ancheng Industry Development Co., Ltd.